Homemade bath salt is one of the best DIY projects in the world! It makes the perfect gift for the friend that has EVERYTHING. 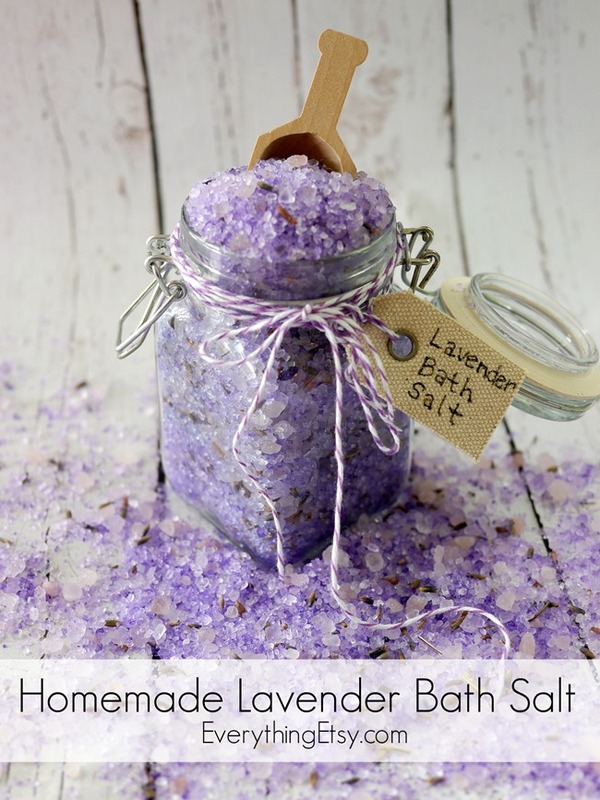 It can help you relax and wash away the cares of the day with a sweet smelling bath. 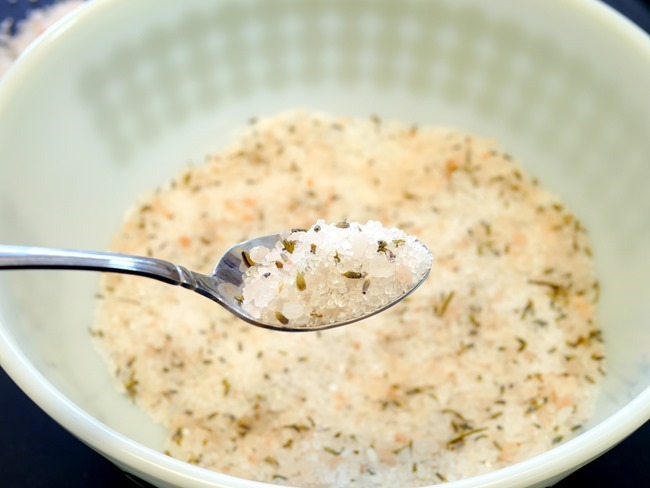 Oh, and don’t forget about the tons and tons of health benefits of using salt in your bath water! I read that it helps with muscle aches, stress relief, improving circulation, skin hydration, headache relief and more…just Google it! 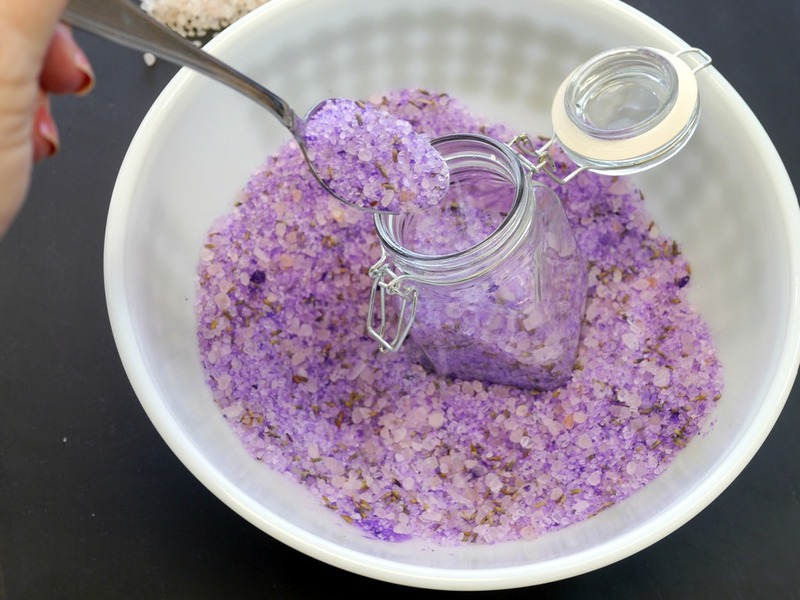 You can create bath salt with just a few simple ingredients and your prettiest jars. 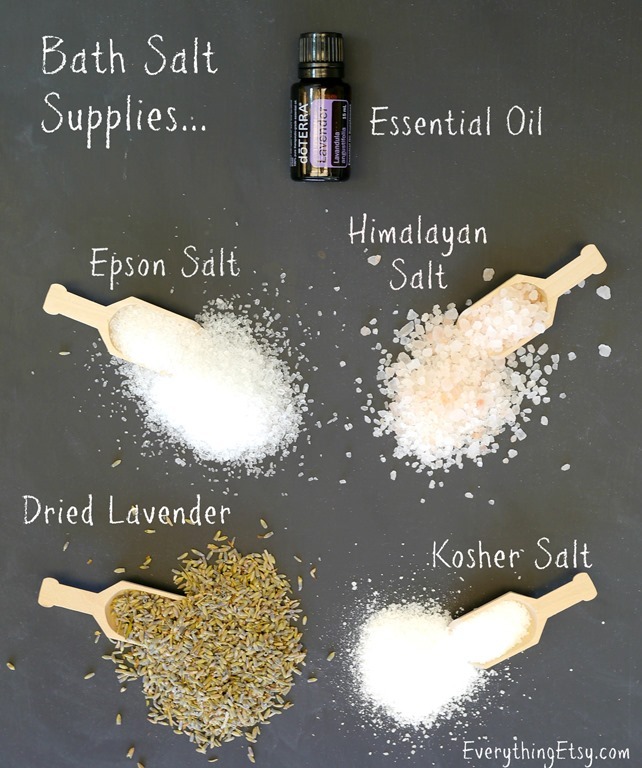 Choose your favorite color and essential oils to formulate a homemade bath salt that’s perfect for you. 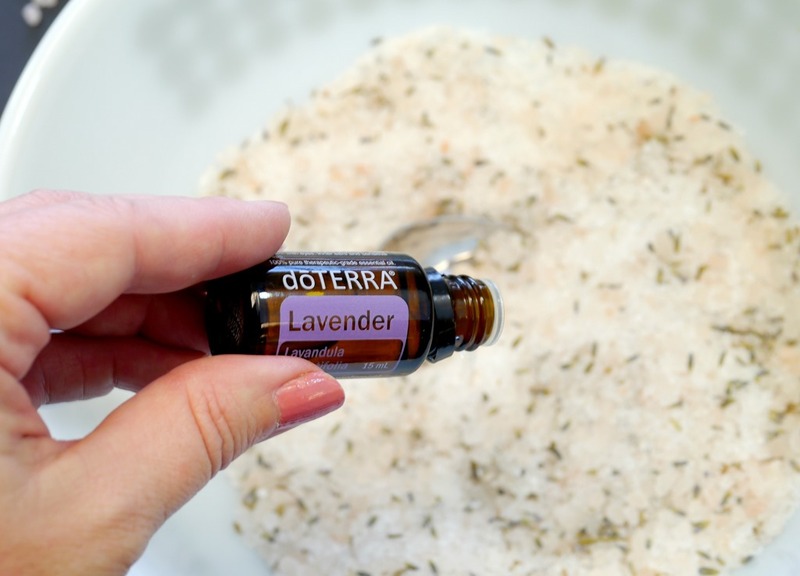 I used one of my favorite doTERRA essential oils for this recipe. 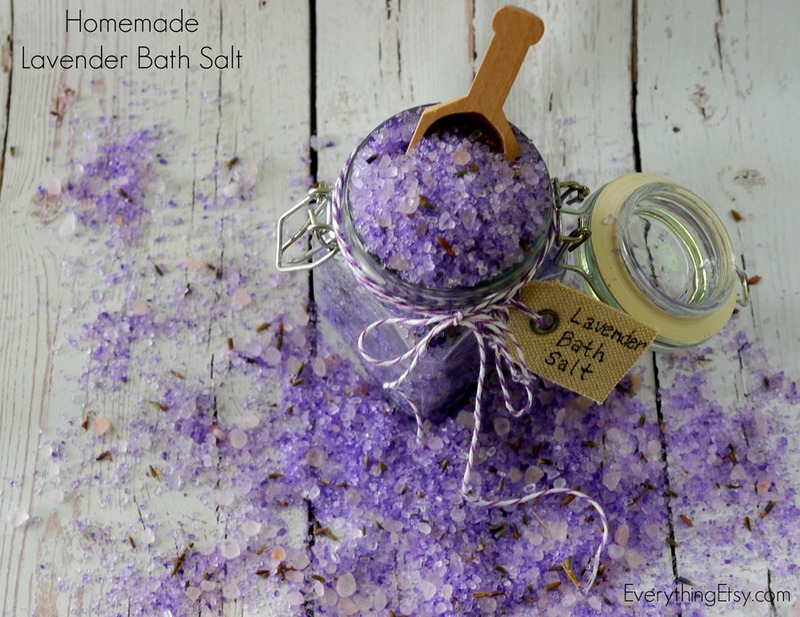 The benefits of lavender are perfect for a relaxing bath. 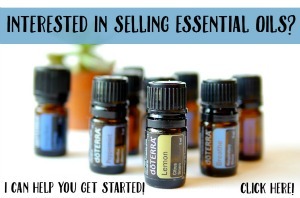 Feel free to ask me about any essential oils in the comments or visit my doTERRA shop. 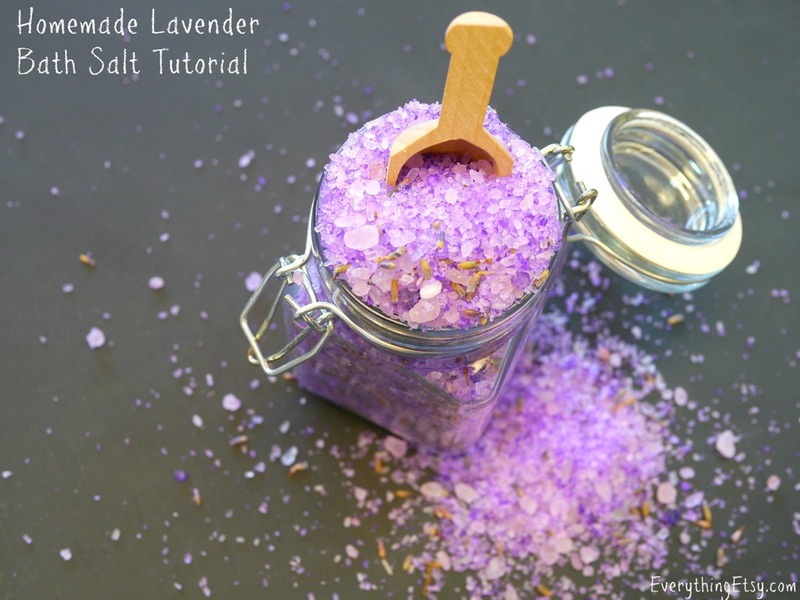 Gather your supplies and start by mixing 1 cup Epsom Salt, 1 cup of Sea Salt, 1/2 cup of Kosher Salt and the dried lavender buds together in a large bowl. 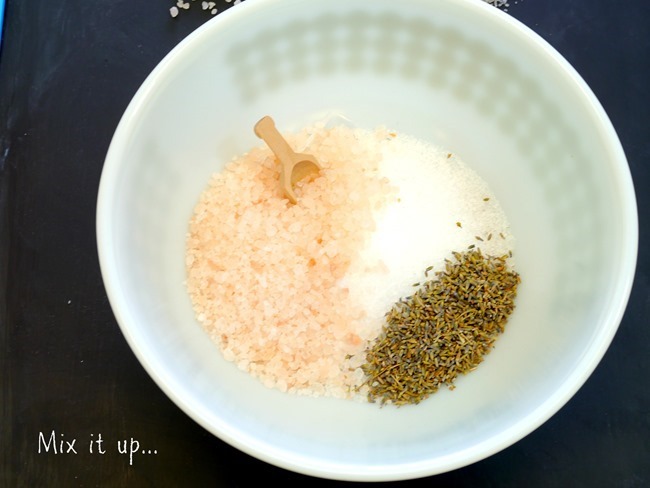 I used a beautiful pink tinted Himalayan Sea Salt to give my salt a little variation of colors. Add your Lavender essential oil and any food coloring and mix it well. A little food coloring goes a long way, so start with a couple drops, mix, and then add more to get the desired look. Once you’re done mixing…mix a little more! It needs it! At this point your whole house will smell amazing and anyone that enters and sees you mixing this up will think you are Martha Stewart in disguise…just sayin’! 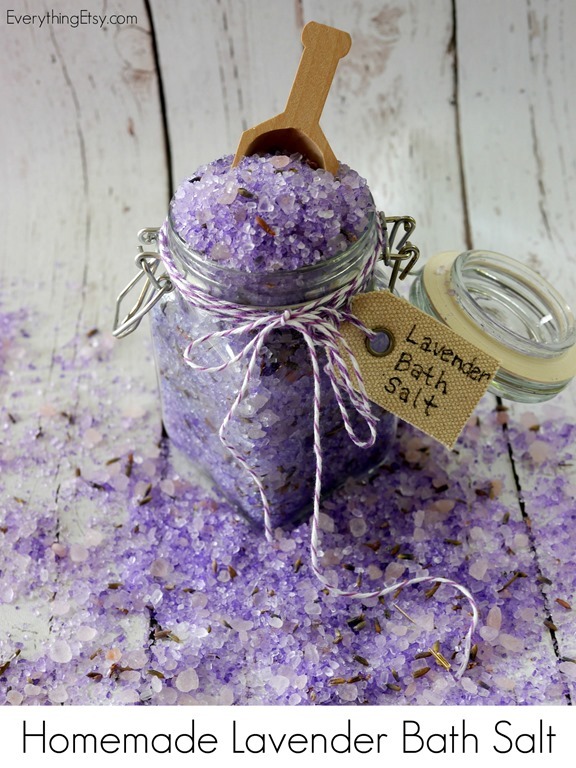 Spoon your bath salt into beautiful jars or bottles, top it off with twine or ribbon and you are finished! It’s that simple! This is the best kind of gift! Make a ton and have them all ready for birthdays and Christmas. Look like the crafty diva you really are without working too hard. That works for me…ha! Homemade bath salt is the perfect way to pamper yourself! I love how you can easily change the color or scent. 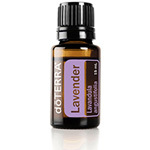 What’s your favorite essential oil? 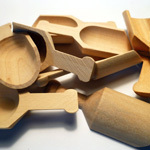 Have fun creating handmade goodness! Hello,how much i need for a bath? I’m printing directions on how to use the salts. How much do you scoop for a bath? How much lavender oil do I add to this mix? Tried this out today to give as gifts tomorrow. Had to use turquoise coloring because that is what I bought instead of red and blue to make purple. If you want I will post a photo of how it turns out & give feed back from the gift recipients! Hi Sarah! I’d love to see a photo of how it turned out! Just email it to me at Kim@everythingetsy.com or post it to our Everything Etsy facebook page! Thanks!!! Hi, I’m not seeing any links to amazon for these items? 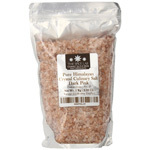 I’m having a rough time picking out which sort of himalayan salt to use could you please send me a link? Thanks! I can’t wait to try this! I’m sorry I seem to have overlooked them – I just found them. My apologies, still excited!! I really want to do this, how many mason jars does one batch make? Okay, so I found out one batch almost fills a total of three 7oz jars, you need to add a half cup more of something or a combination of everything. I tried the mix out in my tub and I would not recommend adding lavender buds. They do not dissolve and they look like bugs in the tub. Also they get all over you body. 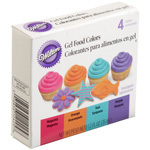 Another thing- the food coloring turns the water a hint of purple. Love this idea! Where do you get those adorable little jars? Sorry for this silly question is this a body scrub? 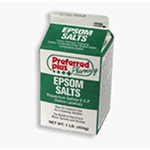 Hi, How long can you store the bath salts once they are made? I’ve kept them for months! If they are in a tightly sealed jar you should be able to keep them for a year! I would like to learn how to make hand made soaps can you help me. I have a difficult time with my bath salts holding their fragrance. They just smell like salt after a short time. What do you do to keep their fragrance last. 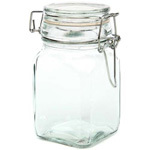 I use a sealable jar. The jar helps, but the biggest thing is the quality of the essential oil. 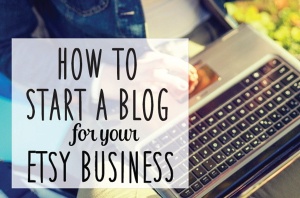 You can read more about the oil I use in the post. I’d like to make it. Where should I buy materials?